It started as a good day for Walmart. The company announced that it will raise its minimum wage to $11, hand out bonuses of up to $1,000 and expand its parental and maternity leave policy, partly as a result of the new lower corporate tax rate. Ivanka Trump tweeted that "America is on a roll," and Treasury Secretary Steven Mnuchin thanked Walmart from the White House briefing room. But while the praise was pouring in, something else was happening. According to local news reports, some workers and customers were showing up at Sam's Club, the buy-in-bulk warehouse owned by Walmart (WMT), to find stores had shut their doors. On its big day, the largest private employer in America had a public relations mess on its hands. News dribbled out on social media, where some people said they had been laid off suddenly. Some of the details were filled in by notices posted on state government websites in accordance with the Worker Adjustment and Retraining Notification Act. Only late in the day -- in a reply to a question someone asked on Twitter -- did Sam's Club say that 53 stores were closing and 10 being converted to fulfillment centers. Throughout the day, Walmart did not make a public statement and did not return repeated requests for comment from CNNMoney. Then, on Thursday evening, the company released a statement revising the number of locations affected. It said 63 stores would be closed and up to 12 of those transformed into fulfillment centers. Walmart still didn't say how many people were losing their jobs, but estimates that about 9,450 people are employed across the 63 locations. "This is a fantastic example of a company just not realizing exactly how quickly information travels," said Ed Zitron, founder of the media relations company EZPR. Executives may have figured that by not announcing the store closures, they could bury the news, he said. "They're trying to pull the wool over people's eyes," he said. "They just made a rapid miscalculation." "After a thorough review of our existing portfolio, we've decided to close a series of clubs and better align our locations with our strategy." Other details came out in pieces. "Pharmacies will stay open for at least two weeks, and we will work with each state's Board of Pharmacy to help guide this transition," the company tweeted at one person. "You will also be contacted about your prescriptions and transitioning them to another club." 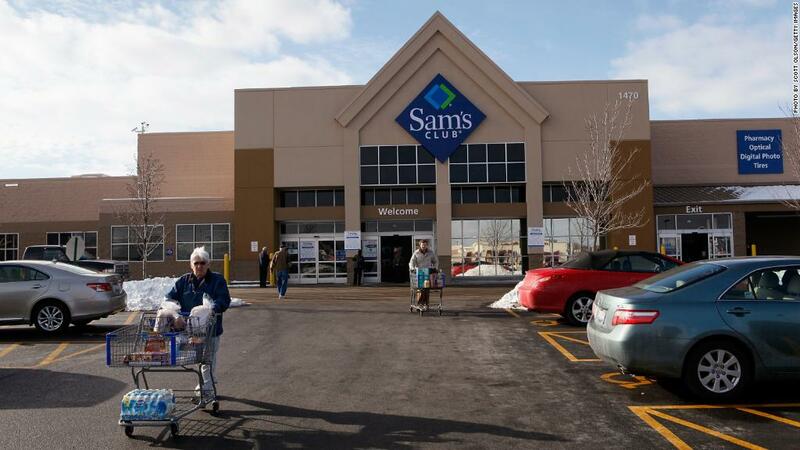 "Transforming our business means managing our real estate portfolio and Walmart needs a strong fleet of Sam's Clubs that are fit for the future," said John Furner, president and CEO of Sam's Club, in the statement. "We know this is difficult news for our associates and we are working to place as many of them as possible at nearby locations." In its statement, Walmart said that affected employees will receive the bonuses, as well as 60 days of pay and severance if eligible. Bryan Reber, a professor at the University of Georgia who studies crisis communication, said Walmart could have basked in a day of positive news coverage, but "now the whole focus of the story shifts." "It seems like if you're going to combine the two, you would first shutter the stores and then try to shift focus by announcing the raises and the bonuses," he said. "But to do both in the same day seems baffling to me." Ronn Torossian, CEO of the public relations agency 5WPR, disagreed. Sharing good news and bad news together softens the blow of the negative, he said. But he agreed that Walmart should have led with the store closures, and discussed the raises and bonuses later. And Walmart should have put out news of the store closures themselves, rather than sporadically respond to Twitter questions, he said. Still, he thinks the bad press will blow over quickly: Many retailers are struggling, so news of store closings shouldn't come as a shock or be seen as unreasonable. There's no easy way to lay people off, but "you have to communicate with people," added Thom Fladung, managing partner of Hennes Communications, which specializes in crisis communication. "You have to be available to answer their questions, even if it's painful." Otherwise, people have to fill in the gaps themselves -- and that's bad for everyone. "The result is a vacuum," he said, "and what fills a vacuum is anger and rumors." Walmart representative Greg Hitt told CNNMoney that the company did not intend to make both announcements on the same day. "The tax issue has been a floating target for some time, in terms of when we would actually discuss it," he said. "Both of those actions or announcements originated in different parts of the business." Hitt said he made the decision to stop responding to press until the company finished its press release. The company has no plans to share a list of store closures, he said. --CNNMoney's Jill Disis and Jackie Wattles contributed reporting to this story.